The Imperium’s initial attempts to attack the orks and kill their leader have ended in failure and tragedy, but there can be no surrender: the fate of humanity hangs in the balance. New, more flexible fighting teams of Adeptus Astartes have been assembled and allies from the Imperium’s past have also pledged their support. With new troops, revised tactics and the full backing of the Adeptus Mechanicus, the Space Marines head to the orks’ home world one final time. This time there will be no retreat. They must succeed in their mission… or die in the attempt. "}" 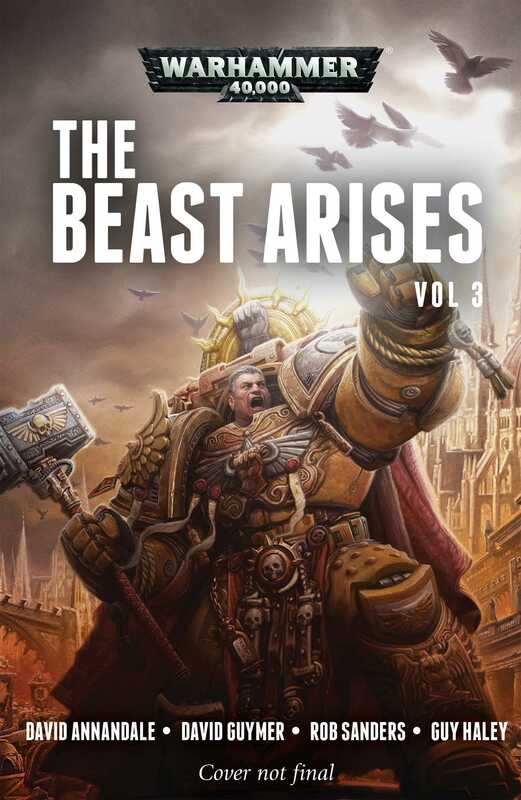 style="font-size: 10pt; font-family: Arial; color: rgb(0, 0, 0); text-align: center;">‘The Beast Arises’ is an epic Warhammer 40,000 series from Black Library. Spanning twelve volumes, the story covers a galaxy-wide conflict between humanity and a massive ork invasion. The Imperium’s initial attempts to attack the orks and kill their leader have ended in failure and tragedy, but there can be no surrender: the fate of humanity hangs in the balance. New, more flexible fighting teams of Adeptus Astartes have been assembled and allies from the Imperium’s past have also pledged their support. With new troops, revised tactics and the full backing of the Adeptus Mechanicus, the Space Marines head to the orks’ home world one final time. This time there will be no retreat. They must succeed in their mission… or die in the attempt.